The film was awarded the historically first Czech Lion for a documentary. Take a look at photos from the award-giving ceremony. I'll review when I see the movie. Viewers attending the premieres received a Citizen Havel Calendar. You can have a look at it here, save it on your computer and, if you like, print it out and hang it on your wall. It’ll last you until the end of January 2009 and you can use it to write down important events in your life. It’ll certainly be interesting to take another look at it in a few years’ time. What’s more, you’ll also find a recipe for Burgundy goulash à la Havel. At the end of December 2007 the film’s director Miroslav Janek and editor Tonička Janková were guests on the programme Setkávání [Encounters] on Czech Radio 3 Vltava. They spoke to Jana Klusáková. 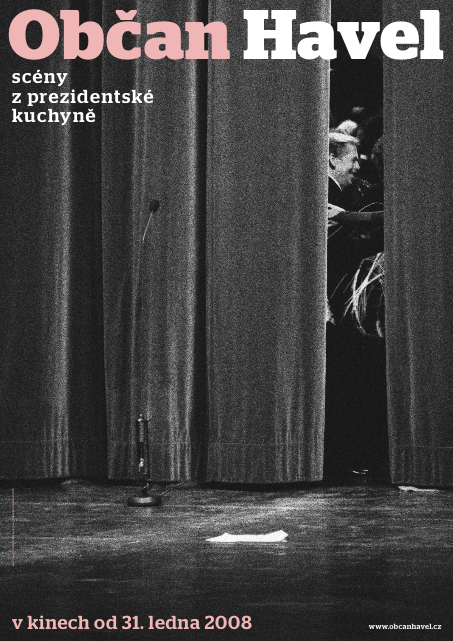 Jan Lukeš went off to Hrádeček to chat to Václav Havel, among other things, about Pavel Koutecký’s films and what it was like filming with him. The meadow murmured in the wind behind them, a breeze turned over the pages and the crickets were chirping. And you can hear it all in the background.